/ Nesco Snackmaster Pro: Best Food Dehydrator Under $100? I was at my daughter's for an extended visit, helping her out after the birth of her first baby. She happens to own a Nesco, and she had only good things to say about it. Not that I didn't believe her, but I wanted to give it a whirl myself. 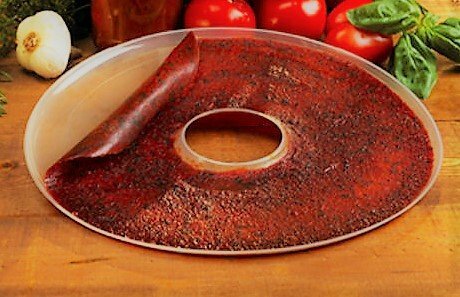 I knew that it's the top selling dehydrator, and I wanted to find out why. 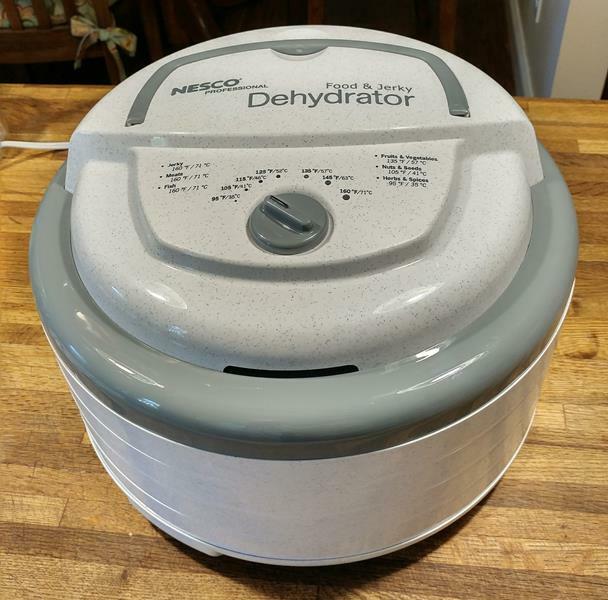 This is a simple and inexpensive dehydrator, but it does an excellent job of drying food quickly and evenly. If you're looking for a cheap dehydrator - and I mean cheap in price, not quality - you'll want to consider the Nesco Snackmaster Pro. Keep reading to find out what I learned about it. If you're in a hurry, you can click on your most pressing questions in the quick navigation below. And if you just want to go to Amazon to see what the price is and/or read the reviews, you can click here. What are the features of the Nesco Snackmaster Pro? How much drying space does it have? Is the Nesco Snackmaster Pro good for making jerky? What are the mesh screens and solid sheets for? What's the difference between FD-75A and FD-75PR? Nesco Snackmaster Pro vs Presto: What's the difference? Nesco Snackmaster Pro vs Excalibur: What's the difference? Where can I get a good price on a Snackmaster Pro? Verdict: Should I buy it? With the 5 trays that come with the unit, you get about 5 square feet of drying area. You can fit quite a bit of food on that amount of space. If you find that you need more space, you can buy additional trays. You can have up to 12 trays, so that gives you a total of about 12 square feet. The dehydrator is 13 inches in diameter and 10 inches high. Of course, if you add extra trays, it will be higher. This dehydrator has a unique airflow design that they call Converga-Flow. The heating element and fan are in the top part (the power head unit), and that rests on top of the stack of drying trays. Underside of the power head unit. Warm air is forced down through the outside walls and then across the trays to converge in the center of the chamber. That's where the name Converga-Flow comes from. This allows all the trays to get the same amount of air, so the food can dry evenly. That also means that you don't have to rotate the trays during the process, no matter how many trays you're using. The design has one more advantage worth mentioning. Because the fan and heater are on the top, you don't have to worry about juices dripping down into the electronics. That makes for easy clean up! No, the Snackmaster Pro does not have a timer. That's one reason why it's not as expensive as some other models. So, you'll have to remember to turn it off. Or, you could plug it into an outlet timer. And, by the way, it doesn't have an on/off switch, either. You just plug it in to start it, and unplug it to stop it. If that's too much of an inconvenience, you could plug it into a power strip that has a switch. 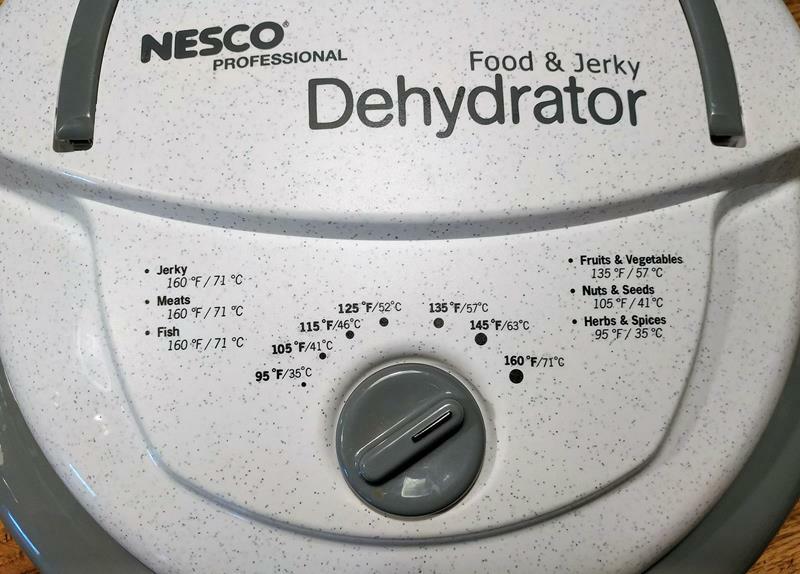 This dehydrator has a temperature range of 95-160°F. It goes low enough to dry delicate items like herbs, and high enough to safely dehydrate meat for jerky. To set the temperature, you just turn the on dial top to where you want it. Set the temperature using the dial on top of the unit. There's also a handy guide to the correct temperatures for different items printed right on top. Nesco dehydrators are made by Nesco/American Harvest, a company based in Two Rivers, Wisconsin. On the Nesco website, there's an emblem that says Made in the USA of USA and foreign components. But Made in China is stamped on the underside of the lid. As it turns out, only the motor is made in China. The rest of the unit is made in the USA. Are the trays dishwasher safe? 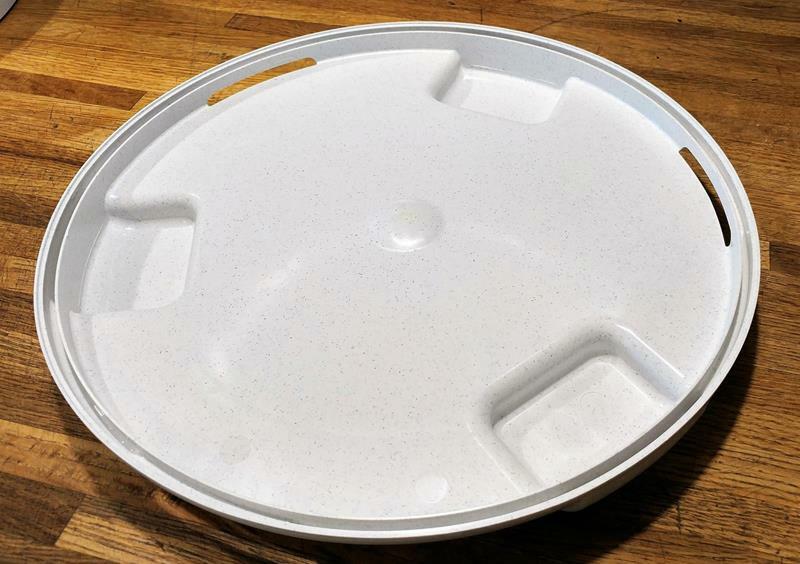 The trays and the base are dishwasher safe, to a certain extent. The manufacturer says that they can only be washed on the top rack. Also, they should be taken out to dry because high temperatures will damage them. I don't know about your dishwasher, but mine doesn't have a top rack that can accommodate a 13-inch diameter tray. They're not that hard to wash by hand. Really. Yes. The trays are made of BPA free food grade plastic. Absolutely! 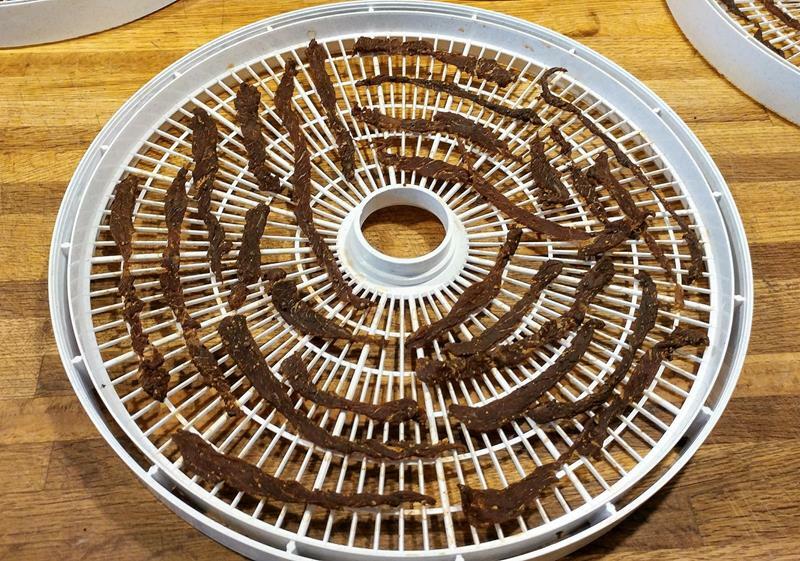 In fact, I made some jerky with my daughter's Snackmaster Pro, and it turned out fantastic! I used about one and a half pounds top round steak, sliced very thin. First I let it marinate for 2 hours, and then I laid it out on four trays. After setting the temperature to 160°, I plugged it in. Loaded with raw meat and ready to go. Let me tell you, the smell was heavenly! After only 4 hours, it was done! All the pieces were evenly dry, and I did not switch the trays around at all. By the way, you can find the recipe I used in my Easy Dehydrator Recipes post. You get the complete dehydrator with 5 drying trays. If you put the mesh screen (Clean-a-Screen) on a tray, it'll help prevent little pieces from falling through. Use it for things like herbs and blueberries. The Clean-a-Screen is also good for sticky foods like sliced bananas. Since the screen is flexible, you can pick it up and bend it to release anything that might have gotten stuck on. And the solid sheet (Fruit Roll Sheet) allows you to dry liquids to make fruit rolls (or fruit leather). I've even seen people dehydrate spaghetti sauce with it for long term storage! You only get two of each kind of sheet with the dehydrator, so you might want to buy more. They're available in 2-packs. Click here to go to Amazon to check availability and the current price. Besides trying it myself, I've read a lot of online reviews by people who own the Nesco FD-75A dehydrator. The general consensus is that the pros far outweigh the cons. What's the difference between Nesco FD-75A and FD-75PR? The only difference between the FD-75A and FD-75PR is the packaging. The FD-75A features "Frustration Free Packaging". Other than that, they are identical. It comes with a One Year Limited Warranty, which covers defects in materials and workmanship. The terms are spelled out in the user manual. Nesco Snackmaster Pro vs Presto dehydrator: What's the difference? The Presto 06301 and Nesco FD-75A Snackmaster Pro dehydrators are in the same price range. Power Consumption - Presto uses 700 watts; Nesco uses 600 watts. Timer - Presto has a timer; Nesco has no timer. Fan Location - Presto's fan is on the bottom; Nesco's is on the top. 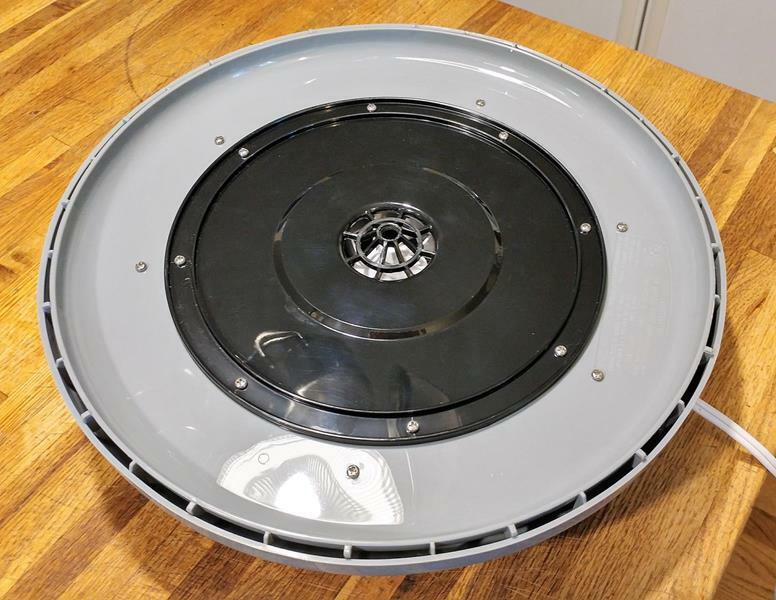 Lid - Presto has a clear lid; Nesco's is solid and houses the motor and fan. Nesco Snackmaster Pro vs Excalibur dehydrator: What's the difference? Excalibur dehydrators tend to cost a good bit more than Nesco dehydrators. But besides that, there are some major differences. We'll compare the Nesco FD-75A to the Excalibur 3926TB, since they are two top selling dehydrators. Total Drying Area (sq ft) - Excalibur has 15; Nesco has 5, expandable to 12. Temperature Range - Excalibur: 105-165°F ; Nesco: 95-160°F. Airflow Design - Excalibur is box & shelf with fan in back; Nesco is stackable with fan in top. Timer - Excalibur has timer and auto shut-off; Nesco has no timer. Warranty - Excalibur's warranty is for 10 years; Nesco's is 1 year. If you look around, you'll find that the Snackmaster Pro goes for about the same price at the most well-known retailers, give or take a dollar. I don't quote Amazon prices because they can change at a moment's notice. So if you'd like to check the current price at Amazon, just click here. 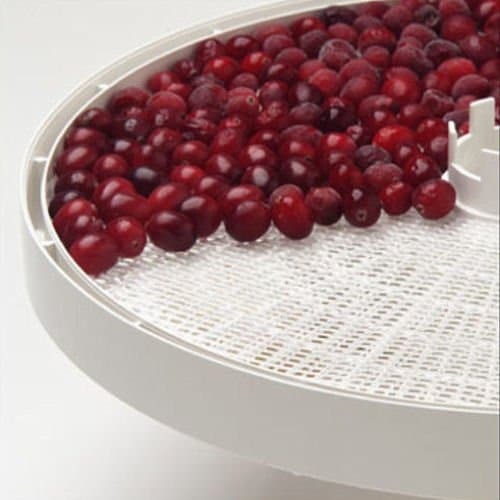 The Nesco/American Harvest Snackmaster Pro is the one I would recommend if you're new to dehydrating and don't want to invest a lot of money in a dehydrator. You should also consider it if you don't plan on drying large quantities of food, or if you have limited space. 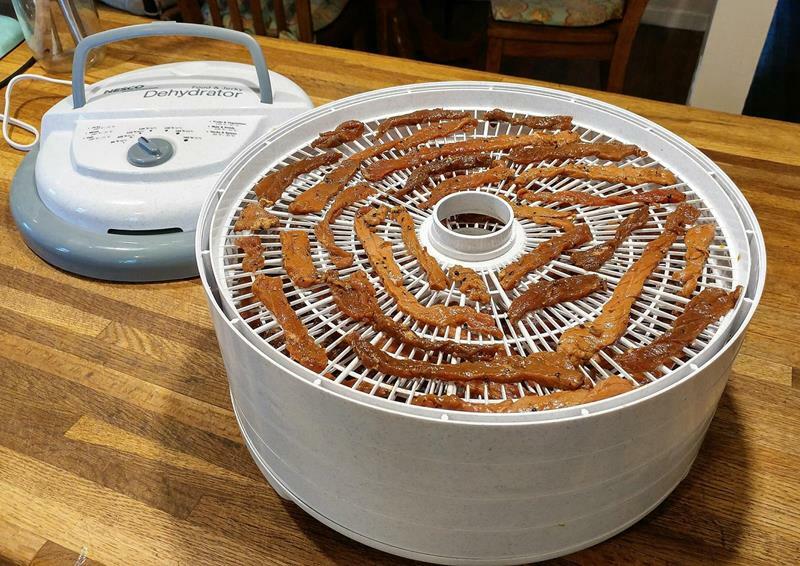 Is it the best food dehydrator under $100? Even though it's inexpensive, it's still going to give you a good experience. It's made well enough that you're not going to get discouraged with the results. Then maybe later, if you find that you enjoy dehydrating foods, you might want to move up to something bigger or with more features. This dehydrator is designed well, it's easy to use, and it's affordable. That makes it the perfect choice for the novice or casual user. If this sounds like what you're looking for, click here to shop for it at Amazon. For more information about how Nesco compares to other popular dehydrators, please see my Best Food Dehydrators Buyers Guide.